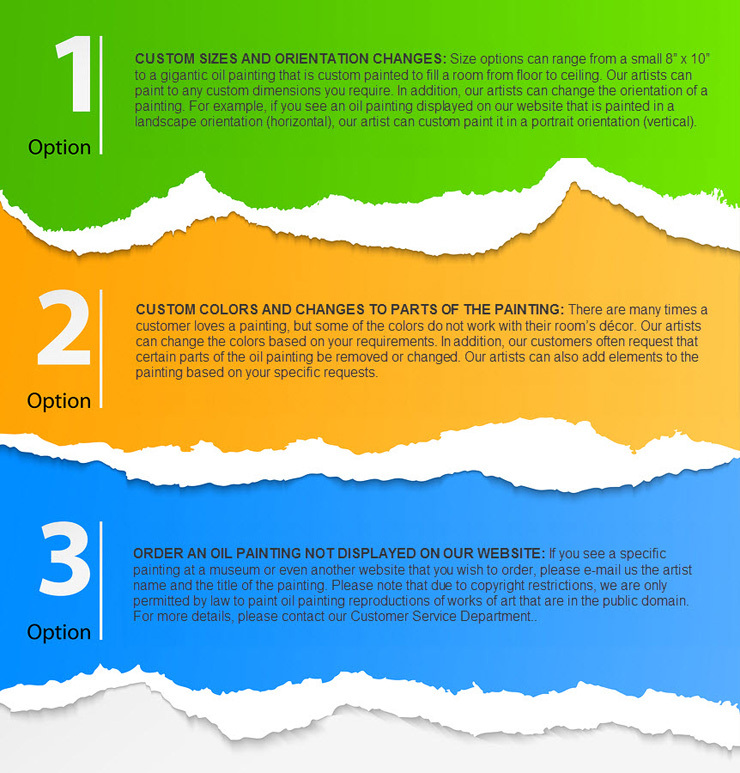 Order your oil painting with any custom changes you require. When browsing our comprehensive website of over 60,000 oil paintings, many of our customers have specific size, color, or orientation requirements that are necessary to complement their décor and wall space. Since every oil painting we sell is 100% hand-painted on canvas, any custom changes you request can be skillfully completed by our master artists. In addition, if you are interested in ordering an oil painting that is not displayed on our website, in most cases we can commission you a hand-painted masterpiece at our everyday low wholesale direct prices. Simply complete the form below to promptly receive a no-obligation price quotation.